Granule packing machine_Food packing machie_Product_Shanghai Saifeng Packing Machinery Equipment Co.,Ltd._Shanghai Saifeng Packing Machinery Equipment Co.,Ltd. 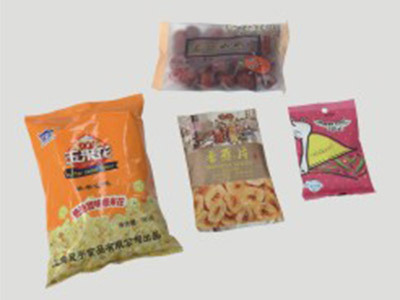 Suitable for irregular block and granular materials , such as candy , fruit and vegetable , puffed food , small biscuits , dried fruit , melon seeds , roasted seeds and nuts , dumplings , dumplings and so on. 2.The use of intelligent temperature controller accurate temperaturecontrol; toensure that the sealing beautiful,smooth. 3,Using PLC servo system,pneumatic control system,large display touch screen constitute the driving control core; to maximize the control of the machine accuracy,rliabilit and intelligence. 4.The machine and the measurement configuration can automatically complete the measurement Feeding,filling bag,date printing,inflatable (exhaust),finished product delivery of all packaging process,and automatically complete the count. 6.With fault display system failure,help to troubleshoot in a timely manner. 7.Pouch type diversification,according to customer needs made: pillow-shaped bags,back seal,angle,even bags, such as hanging hole bags. 8 420 single belt transport film,fast and smooth,small friction,less loss. 9.Can have all stainless steel models and carbon steel spray model. 6 . compressed air system and nitrogen generator .